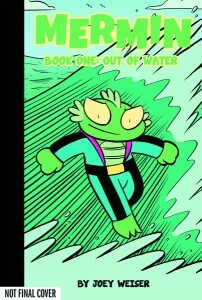 This December Oni Press will present a new hardcover graphic novel, Mermin, Volume 1: Out of Water. This full-color all-ages comic was written and illustrated by Joey Weiser. “Mermin, the Merman from Mer!? That’s the question Pete and his friends ask after finding the fish-boy washed up on the beach! Mermin just escaped the undersea kingdome of Mer, and is ready to have some fun on dry land! But why would this aquatic kid be afraid to swim? 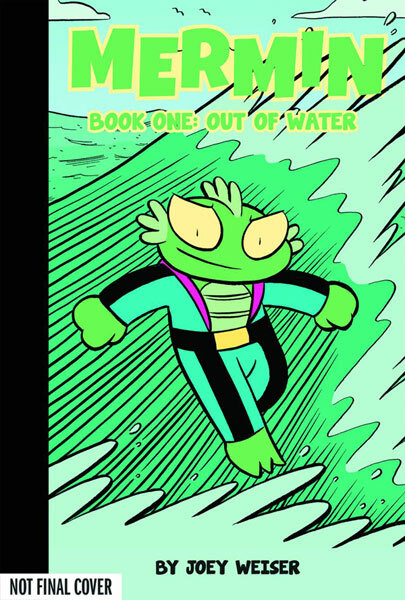 Perhaps it has something to do with the fishy pursuers who have followed him from the depths below!” Joey discusses some of the creation process behind this new comic on his blog at Tragic Planet.